A mysterious and magical tale plays out in the fabulous lands of Sevenwaters... this is a must for fans of Juliet Marillier's enthralling series. Long ago, the sorceress Lady Oonagh cast a curse over her own child. Now a druid, an ill-tempered raven and an adventurous young woman are drawn together as the time approaches for the evil magic to be undone. Fans of the Sevenwaters series will love this new episode, which fleshes out the history of druid Ciaran and his constant companion Fiacha. Log In to track Juliet Marillier on eReaderIQ. 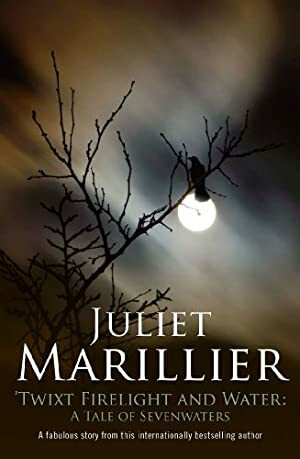 to be notified each time the price drops on any book by Juliet Marillier. to stop tracking Juliet Marillier. We started tracking this book on January 24, 2012. The price of this book has changed 13 times in the past 2,644 days. The current price of this book is $0.99 last checked 13 hours ago. The lowest price to date was $0.01 last reached on June 7, 2015. This book has been $0.01 one time since we started tracking it. The highest price to date was $3.99 last reached on June 19, 2015. We last verified the price of this book about 13 hours ago. At that time, the price was $0.99. This price is subject to change. The price displayed on the Amazon.com website at the time of purchase is the price you will pay for this book. Please confirm the price before making any purchases.